This Website Is No Longer Active. : What Goes Around Comes Around. 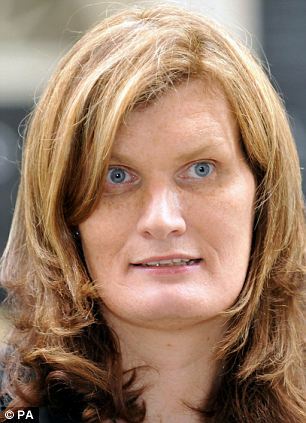 Nikki Sinclaire represents West Midlands at European Parliament. Former UKIP MEP was expelled from the party in 2010 over policy row. An independent MEP has been arrested on suspicion of conspiracy to defraud the European Parliament for allegedly claiming road mileage but travelling on a much cheaper flight. Nikki Sinclaire, from Meriden, West Midlands, was quizzed by detectives from West Midlands Police's Economic Crime Unit over allegations about her allowance and expense claims. Miss Sinclaire, who was elected as a UKIP MEP for the West Midlands in June 2009, was arrested at a Birmingham police station last night. She had the UKIP whip withdrawn in 2010 following rows over policy, but continues to represent the region in the European Parliament as an independent. Three other people, two women and a 19-year-old man, were also arrested at addresses in Solihull, Worcester and Birmingham. All four have now been released on police bail. A spokeswoman for West Midlands Police said last night: 'West Midlands Police Economic Crime Unit have today arrested four people on suspicion of conspiracy to defraud the European Parliament. 'Two women, aged 55 and 39, and a man aged 19 were arrested at addresses in Solihull, Worcester and Birmingham this morning, while a 43 year-old woman was later arrested at a police station in Birmingham. All four remain in custody this evening. Why do I even bother mentioning this ? Miss Sinclaire was presented with all the evidence regarding the " Justice 4 Linda Lewis Campaign." After much dialogue with her office staff, false hope and several broken promises of appointments she stopped returning our phone calls. We hope you go down Miss Sinclaire.We really do ! Another politician more interested in the SHEKEL than people. I hope she gets sent down. What a disappointment she turned out to be.